Preclinical testing provides important information on the pharmacokinetics, safety, and efficacy of drugs, devices, and biologics on a living organism with a circulatory and immune system, as well as on the physiological responses to these agents. Although the response in humans may not be the same as that seen in animal models, the information is still important. For example, immune response to a biologic or lack of a target receptor in a particular animal species can be different than what occurs in humans. In the United States, regulations have the statutory equivalence of law. Thus, the GLP regulations are equivalent to law. This article will primarily cover International Conference on Harmonisation E6 GCP (ICH E6 GCP), which the U.S. Food and Drug Administration (FDA) has translated into a guidance (Guidance For Industry E6 Good Clinical Practice: Consolidated Guidance), along with the regulations for Investigational New Drug (IND) applications and Investigational Device Exemption (IDE) applications. Thus, it is acceptable to use alternative procedures as long as the use is justified and documented. Table 1 lists some of the regulations that govern preclinical and clinical studies. 21 CFR Part 58 contains the GLP regulations, and parts 312 and 812 contain the IND and IDE regulations, respectively. 21 CFR Part 11: Electronic Records, Electronic Signatures is common to both preclinical and clinical studies. Preparation for IND and IDE submissions includes listing all of the preclinical studies that have been conducted on the investigational product. The sponsor must state whether the preclinical studies were conducted in compliance with the GLP regulations. If they were not, the sponsor must justify this. This type of information is not available from a literature review or published papers. The FDA recently issued a draft guidance on medical devices, which describes the types of studies that may be exempt from the GLP regulations. Typically, these are mechanical testing studies that do not involve a test system using an animal species being used to test the product. 21 CFR Part 11: Electronic Records, Electronic Signatures is considered to be covered under the predicate rules. FDA warning letters on preclinical studies do not cite issues with Part 11. Instead, audits of preclinical studies focus on equipment, including computers. All equipment used in preclinical studies must function appropriately and be validated before use. Other regulations include the Animal Welfare Act for preclinical studies. The Animal Welfare Act is covered by the U.S. Department of Agriculture and it applies to certain species, but it does not include rodents. When conducting a preclinical study involving rodents that is funded by the National Institutes of Health, other public laws apply. ICH GCP applies to clinical studies. Multiple guidance documents are also available for clinical studies, as well as for the Good Manufacturing Practice and quality system regulations. In terms of organization (Table 2), both the GLP regulations and the ICH E6 GCP guidance document have general provisions (called principles in ICH E6 GCP) and definitions (under the glossary in ICH E6 GCP). In GLP, organization and personnel cover many different activities in preclinical studies. Most importantly, this section covers the study director, who is equivalent to the investigator in a clinical GCP study. The GLP regulations also contain detailed descriptions of the requirements for facilities and equipment, including ensuring equipment remains functional during the course of a study. Test articles in GLP studies are equivalent to investigational product; and control articles would be similar to reference materials used in a clinical study. Sponsor responsibilities are typically different for GCP clinical studies and GLP preclinical studies. Both GLP and GCP require a protocol that describes study design. An investigator’s brochure is part of clinical study documentation, but there is no equivalent requirement for preclinical studies. Typically, this type of information is provided by the sponsor. The records and reports required under GLP are similar to source data and reports generated during the conduct of a clinical trial under GCP. Disqualification of test facilities under GLP is unique to the United States. European GLP principles are in place in Europe, enacted by the Organisation for Economic Co-operation and Development, and in Japan; ordinances on GLP have been enacted by the Ministry of Health and Welfare. Their provisions are similar to GLP in the United States under 21 CFR Part 58, and Environmental Protection Agency GLP regulations (40 CFR Part 160 and Part 792). Only the FDA regulations; however, which were enacted first, include disqualification of test facilities. Management at a test facility plays a major role in preclinical studies under GLP but this function is not described in clinical studies under GCP. Under GLP, study management is responsible for appointing a study director, who is equivalent to the principal investigator in a clinical study. Management must also approve all of the standard operating procedures (SOPs) for test facilities, and a quality assurance unit is required that reports independently to management. Management must also ensure that the test facility is adequate, with adequate personnel and resources to conduct the study, and that test articles are properly characterized. Under essential personnel, the study director is responsible for the overall conduct of a preclinical study under GLP. Clinical studies have principal investigators and sub-investigators at the sites, whereas in preclinical studies, one study director is responsible for all of the sites. Any deviations (protocol, SOP, GLP) that occur must be reported to the study director, and necessary corrective actions must be taken. If an animal facility does not have capabilities such as clinical pathology or histopathology, these tasks will be subcontracted. The people who are in charge of writing signed and dated reports for these services are called experts. Experts are somewhat analogous to sub-investigators; however, these would generally be off-site personnel and the experts perform limited duties in a preclinical study. The Organisation for Economic Co-operation and Development’s GLP regulations refer to organizations that perform contract services for preclinical studies remote study sites. The individuals involved in preclinical studies conducted in compliance with US GLP regulations at remote sites can be referred to as a principal investigator, principal scientist, investigator, statistician, or with another title relevant to the person’s role in the preclinical study. Both preclinical and clinical studies require a protocol and many similarities exist between protocols for preclinical and clinical studies. The regulations for a preclinical protocol are very detailed and include descriptions of the test site, test systems, source of animals and feed they are receiving, as well as methods to be used in the study. The protocol under GCP describes the objective(s), design, methodology, statistical considerations, and organization of the clinical trial. If there is any potential for bias in a preclinical study, steps being taken to try to eliminate bias must be described. A clinical study requires a protocol or investigational plan, which is described in the IND and IDE regulations. There are some differences in study approval between GLP and GCP studies. An institutional review board or ethics committee must review clinical studies to ensure the safety of the human subjects. An analogous situation for a preclinical study is the institutional animal care and use committee (IACUC), which ensures that adequate numbers of animals are used, and that pain and suffering are limited. An adequate number of animals means neither too few nor too many animals, and is required in order to avoid repeating the study. The protocol developed for the IACUC is different than the type of protocol used in a GLP study because the endpoints are different. A GLP protocol focuses on ensuring that an adequate number of animals is used, and pain and suffering is minimized, whereas a GLP protocol must contain all of the elements necessary to reconstruct the study at a later date. The sponsor must approve the protocol and any subsequent amendments in a GLP study. Under GLP, the test facility is required to have SOPs to ensure the quality and integrity of the study data. The regulations contain requirements for specific SOPs that must be approved by management. The study director must authorize any deviations or changes to the SOPs or the protocol during the conduct of the study. Deviations are typically included in the final GLP study report. Clinical studies should have detailed, written SOPs to achieve uniform performance of study functions, along with electronic data systems, and the monitor should review the SOPs during audits if SOPs are present at a study site. However, the IND and IDE regulations only require sponsor SOPs for monitoring. Both preclinical and clinical studies must be conducted according to the protocol. Corrections to raw data for preclinical studies or case report forms for clinical studies are made and initialed and dated with a single line crossout. For clinical studies, the ICH recommends an explanation of corrections when necessary, whereas GLP requires an explanation. Reagents and solutions are not addressed in GCP. In preclinical studies, often the laboratory at the test facility mixes reagents and solutions. GLP requires that reagents and solutions be labeled for the identity, titer, or concentration, storage requirements, and expiration date. Expired reagents and solutions should not be used. Although it is not a recommended procedure, the expiration date of materials used in a preclinical study can be extended if researchers can document that the reagents are still good. For example, if Petri dishes are used after the expiration date and researchers can demonstrate that equivalent results are obtained with unexpired Petri dishes, this information can be used as justification for extending an expiration date. Under equipment, GCP basically requires the equipment to be adequate to conduct the clinical study and to remain adequate throughout the study. The requirements for preclinical studies are much more detailed and include requirements for calibration of equipment, written SOPs for equipment, and records of inspection and calibration. Whenever there is any kind of equipment malfunction, the person who found the malfunction must be identified and the actions taken to correct the problem must be described. Typically, a piece of equipment for a preclinical study is inspected and the inspection report should state, “as found,” which means as the piece of equipment was brought in, or “as left,” which means an adjustment was made. Amendments are planned and permanent changes to the protocol. The approval process for amendments is different for GCP and GLP studies. For clinical studies, amendments require approval of the institutional review board and may also require FDA approval. For preclinical studies, however, the sponsor is responsible for approving the amendments. If the amendment will involve additional animals or different procedures for the animals, the IACUC must also approve the amendment. Deviations are unplanned changes in a protocol or SOP, or unplanned changes from a regulatory requirement. For example, if the protocol for a preclinical study requires taking hourly readings of clinical signs of the animals and the researcher forgot to make a reading or was unable to do this due to an emergency, there is no way to go back and obtain the information. The deviation must be documented, and the study director must acknowledge it and determine its impact on the integrity of the study. Deviations in clinical studies are reported to the institutional review board. In some cases, deviations may be necessary to protect the health and welfare of subjects. Case report forms are a major component of clinical studies; however, they do not exist in preclinical studies. The raw data in preclinical studies would be considered the same as source documents in a clinical study. Researchers may record preclinical study data on a form, and the form(s) must be maintained with study documents; however, the data are rarely sent to the sponsor. In a clinical study, the sponsor collects the case report forms during or at the end of the study. For preclinical studies, all of the records, including the raw data, the protocol, and the final report, are archived at the test facility at the end of the study. Typically, the study director of a preclinical study maintains the records generated during a study for use in writing the final report. At the end of that study, the study director transfers control of the records to the facility archivist, who is responsible for indexing the records and keeping them in a secure facility. Although archived records can be checked out, they must be returned to the archive. Requirements are also present for record retention in both GLP and GCP studies, which may be superseded by local regulations. Typically, records for preclinical studies must be retained for two years after a marketing application has been approved. Unfortunately, the sponsor usually does not notify test facilities about the approval. In a preclinical study, the raw data are needed in order to reconstruct the study at a later date. Typically, the FDA does not audit preclinical studies until two to three years after a study has been completed. Preclinical study audits are usually triggered by an IND or IDE submission, and after a clinical trial has started, the FDA will schedule a visit to the test facility to audit a preclinical study. While the FDA investigator is at the preclinical study site, he/she will generally also request to review an ongoing study. When the FDA audits a test facility, the inspector will ask for certain records and will note the length of time required to retrieve the records. The inspector will also do a physical walkthrough of the archives. Both GLP and GCP studies require monitoring. For GLP studies, the quality assurance unit monitors studies to ensure that the protocol and the SOPs are followed, along with GLP and other regulatory requirements. Monitoring of clinical studies conducted under an IND or an IDE by sponsors rather than the test site is mandatory. In preclinical studies, the quality assurance unit reports to management so that it is independent of study conduct. The quality assurance unit notifies management and the study director whether the regulations, protocol, and SOPs are being followed. At the end of the study, as part of the final report, the quality assurance unit signs a document stating the phases of the studies that were inspected, and the dates of the inspections and notification of management and the study director of the inspection results. Monitoring reports for clinical studies are sent to the sponsor and the clinical research site. Monitoring reports for preclinical studies are not subject to FDA review unless the FDA has a court order to obtain the reports. This allows monitoring reports to be more open and to generate dialogue between the study director, the quality assurance unit, and management. The FDA has proposed changes to the GLP regulations that propose access to more information about monitoring, such as a summary report to management of audit findings performed during a specific period of time. Preclinical studies do not have data monitoring committees, which are used in high-risk clinical studies. For example, a study using a Class 3 medical device (a life-saving device) would have a data monitoring committee to ensure that the protocol is followed and oversee and review the data, as well as adverse events. If the study has not met its endpoints, or there is no statistically significant difference between the control group and the treatment group, or if the treatment shows no efficacy, the data monitoring committee could stop the study. The data monitoring committee must also have SOPs and maintain meeting records. Study reports are submitted at the end of the study to the sponsor under GLP and to the sponsor, the institutional review board, and the FDA under an IND or IDE. Annual reports are also required under IND and IDE regulations. When an IND or IDE is withdrawn, the sponsor must also submit a final report to the FDA. Under GLP, a copy of the report is archived with the raw data. Sometimes the sponsor requests that the test facility transfer the raw data to the sponsor at the end of the study. The test facility should make a copy of the final report and maintain it so the test facility will always have a record of the information submitted to the sponsor. The test facility should also maintain a record of the raw data transferred to the sponsor because the FDA will typically look for the records at the test facility. FDA inspections are different for preclinical and clinical studies. Under GLP, inspections are always unannounced, at least in the author’s experience. 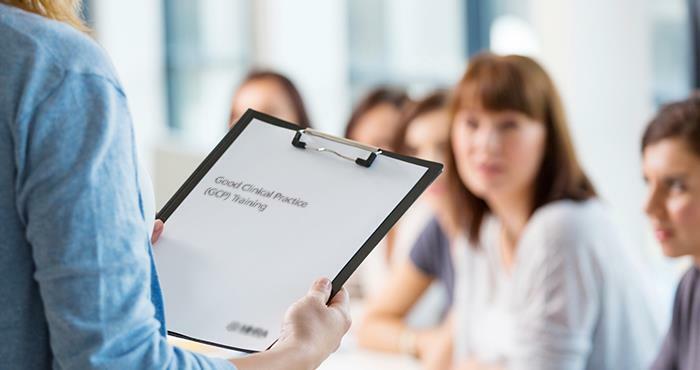 GCP inspections are typically announced with a short timeframe to ensure that the principal investigator is available to meet with the FDA investigator. Disqualification of test facilities is unique to GLP; however, the FDA does have a disqualification process for investigators in GCP studies. The FDA must notify a facility in advance that it will be disqualified. At some point in the future, if the test facility is brought back into compliance, it could be reinstated. In reality, however, the test facility is likely to go out of business after being disqualified. Financial aspects are not described in GLP and are not subject to FDA audits. ICH GCP describes financial agreements. GCP studies require a financial agreement between the sponsor and the clinical research site. INDs and IDEs require notification of financial conflicts of interest by investigators. This is not required for preclinical studies. Universities, however, generally require investigators on preclinical and clinical studies to sign a conflict of interest statement each year. This would be an institutional requirement, not a regulatory requirement. There are similarities and differences between preclinical and clinical studies (Table 3). Both types of studies require an approved protocol and a qualified person to oversee the study. Other similarities between preclinical and clinical studies include monitoring, record keeping, and reporting requirements. Differences between clinical and preclinical studies include the type of study documents and SOPs that are required. Disqualification applies to test facilities in preclinical studies and investigators in clinical studies. Other differences include documentation required to demonstrate the accuracy of equipment and maintenance of equipment in preclinical studies, but not in clinical studies. Also, the role of management in study conduct and reporting is different in preclinical studies, which requires a quality assurance unit for monitoring. Overall the objective of both preclinical and clinical studies is to determine the safety and efficacy of an investigational product. In clinical studies, the safety of subjects is another focus. Under the GLP regulations, this is not a focus of preclinical studies. The Animal Welfare Act covers the pain and suffering of the animals species other than rodents used in preclinical studies, and emphasizes using an adequate number of animals. This is not part of the GLP regulations, however, the FDA has proposed including some parts of the Animal Welfare Act in revisions to the GLP regulations. For example, when the author began conducting preclinical studies, a statement that the study was reviewed and approved was sufficient. Now, the entire institutional animal care and use committee protocol and the preclinical protocol is often submitted with the final study report. 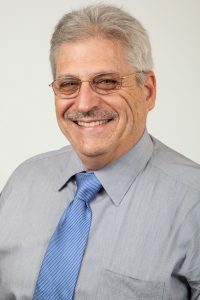 In one FDA audit in which the author was involved, the inspector cited issues about the IACUC that were beyond the purview of the regulations in the FDA Form 483. The test facility had recently been visited by the U.S. Department of Agriculture, which did not identify any problems. The author questioned whether the test facility had to respond to the issues raised by the inspector about the IACUC. The FDA did require a response, even though the citations dealt with issues that were not part of the regulations. Some of this information on GLP regulations will change when the new GLP regulations are enacted, which should be several years after the Notice of Proposed Rulemaking is issued. Next Next post: Evaluating the Protocol: Can the Clinical Research Site Really Do this Study?